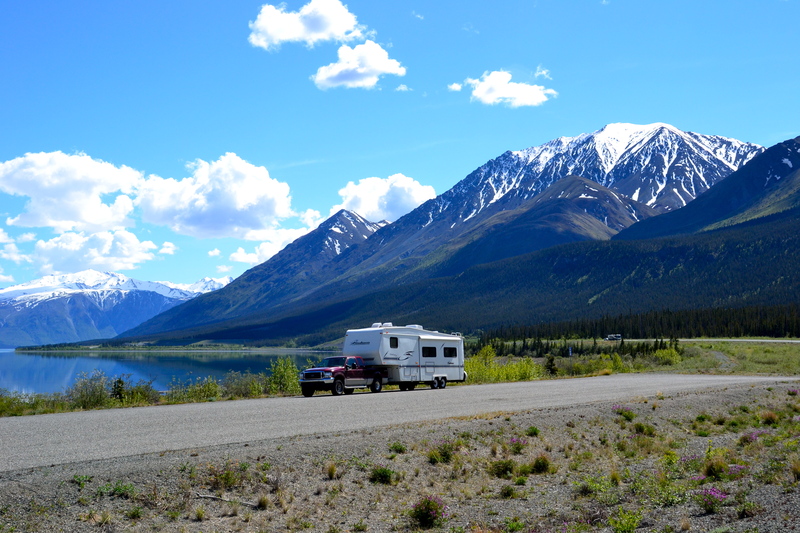 Having completed the Alaska Highway – both out and back – there are some tips that I would share with the next would-be adventurer to help you survive the ordeal. And yes, like any other challenge, there is both good and bad that awaits you. Thoughtful preparation will minimize the negatives and ensure an enjoyable experience. The Alaska Highway skirts Kluane Lake in the Yukon Territory. Most of it is paved. First of all, it will streamline the entire venture if you do your homework before leaving your house. Study the route and know where you are going, which attractions you want to stop and explore, where you plan to stop each night, and where you can stock up on provisions. The most comprehensive help that most travelers get comes from the famous Mileposts publication. We ordered one from Amazon.com along with an Alaska atlas of maps. We kept both in the pickup cab and referred to them constantly. 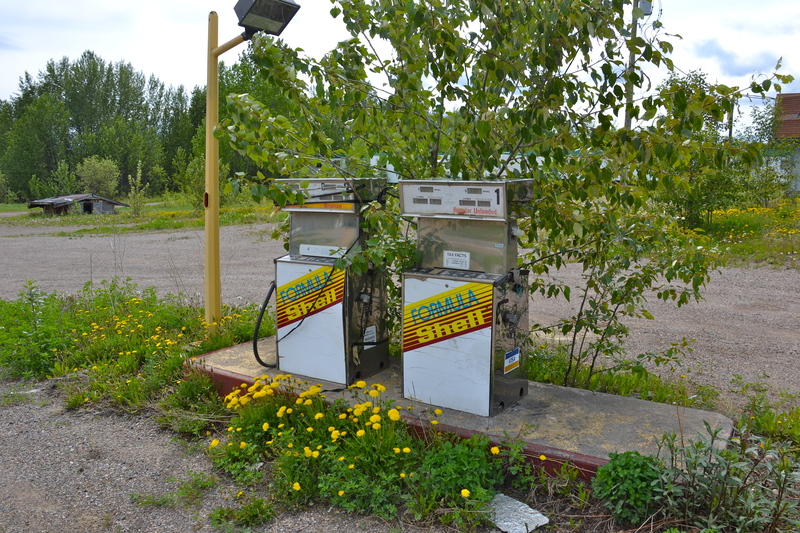 This RV park at Coal River, Yukon, was more than 100 miles from the nearest power grid and was operating on its own generator. We had the campground to ourselves for the night. Another thing to do before heading north is to prepare your vehicle. Your tires need to be in good condition along with a solid spare for both the RV and the tow vehicle. Make sure you are able to change a tire if necessary. Replace worn belts and hoses and change the oil. 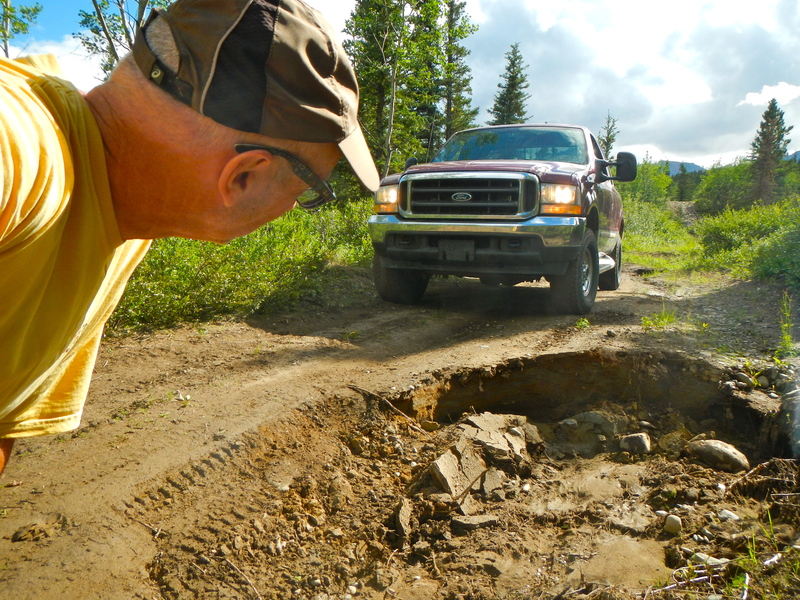 Your vehicle needs to be ready for just about anything, especially if you plan to go into the backcountry for fishing, hiking, four-wheeling and the like. It is important to inform your bank and credit card company that you will be traveling internationally so your cards won’t be flagged and leave you stranded at the gas pump. Carry multiple sources of revenue and keep a reserve of funds on hand for inflated costs and emergencies. Assume that you will see an expensive souvenir that you just have to have for the grandkids. We found ATM’s located in far-away places and carried cash for those times when the bankcard wouldn’t fly at the gas stop. It happened several times. Many of the roadhouses have closed, some many years ago, some last year. Even Mileposts magazine listed some that we found no longer in service. We filled our tank often to avoid being stranded. Also in the planning stages, set aside as much time for this trip as you possibly can; there is a whole lot to see and it is spread out over a vast area. 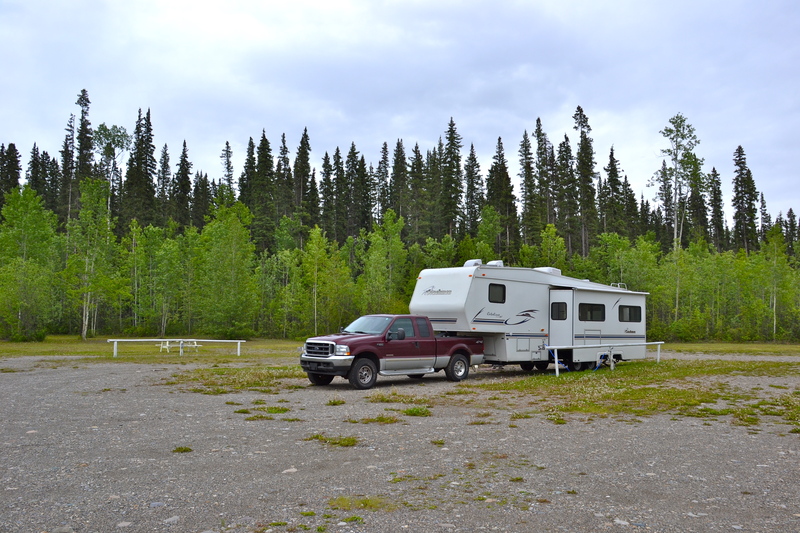 We spent about 2 weeks on the road each way, and more than 5 weeks at the Denali area. Still we did not see everything we could have. 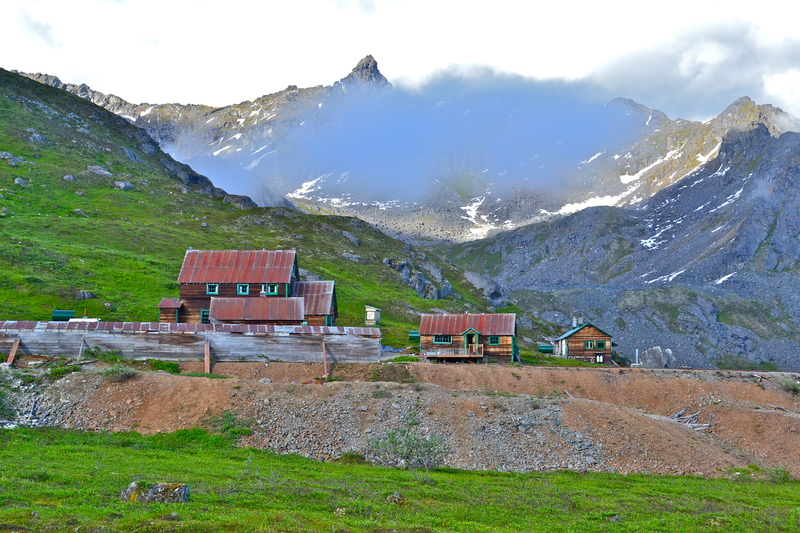 A side trip to the old Independence Gold Mine in the mountains above Anchorage, was a hike that I was able to take in after parking the rig at the RV park for the night. The Alaska Highway is in a state of constant reconstruction and should be approached with a realistic sensibility. Backup plans need to be in place for those days when you don’t reach your destination because you’ve been caught in a construction zone for a couple of hours. Flexibility and a good attitude will help. 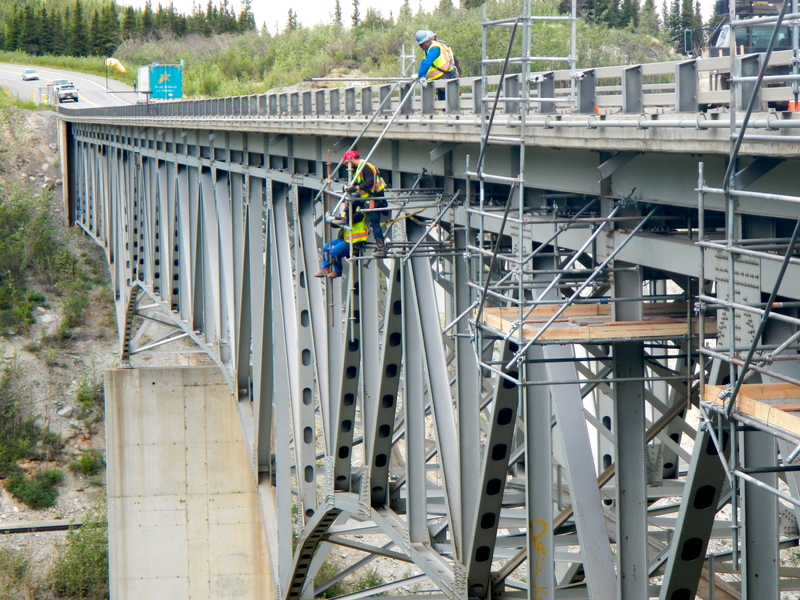 Traffic across this bridge was narrowed to one lane while workers maintained the superstructure beneath. Don’t count on internet and iPhone service anywhere beyond the Canadian border. Our cell phones worked for calls (big roaming charges) when we were in towns and RV parks, but not out in the boonies, and our mobile wifi didn’t work anywhere in Canada or Alaska. There are hundreds-of-mile stretches with no service, so make sure you still know how to navigate the old fashioned way. Fortunately, we were able to get (weak) internet service at some of the RV parks where we stayed, so we were able to keep up with our online banking, email and Facebook updates, and so on, but the bandwidth was never sufficient enough for Skype, FaceTime, or uploading photos to the blog. Bummer. For most people, driving the Alaska Highway is a once-in-a-lifetime adventure. It will be memorable either way, but if things go well, it will be a positive memory rather than a disaster. If it’s on your bucket list, I hope you plan ahead and have a great time. Be safe! 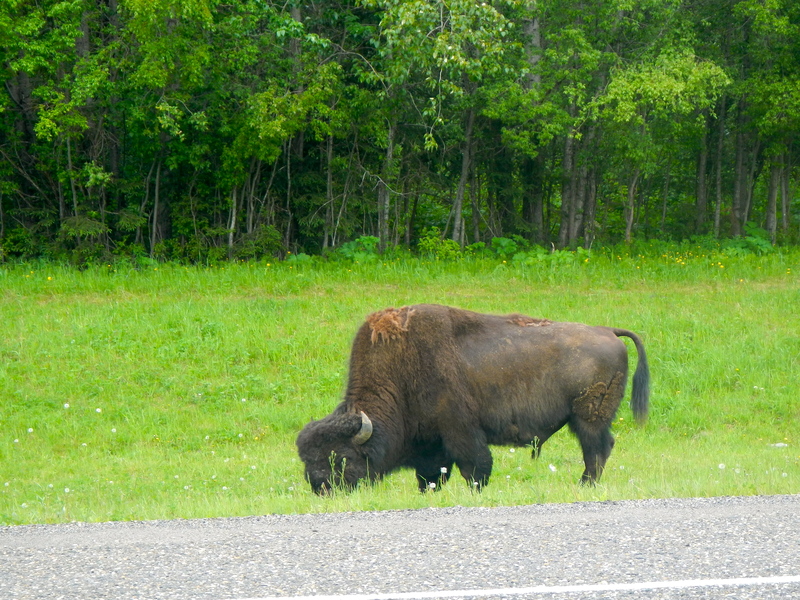 The biggest hazard on the Alaska Highway is the wildlife. 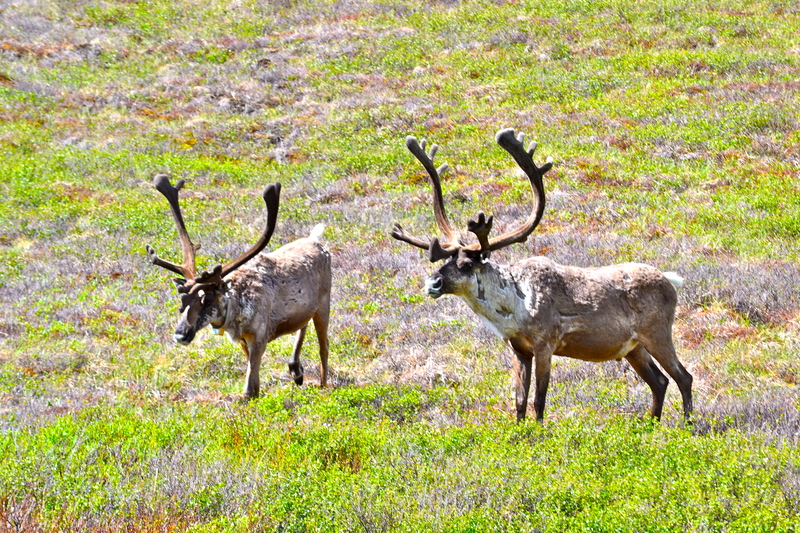 Moose, bears, bison and caribou are all large and will completely destroy your vehicle if you hit one. Gorgeous sights line the Alaska Highway from beginning to end. 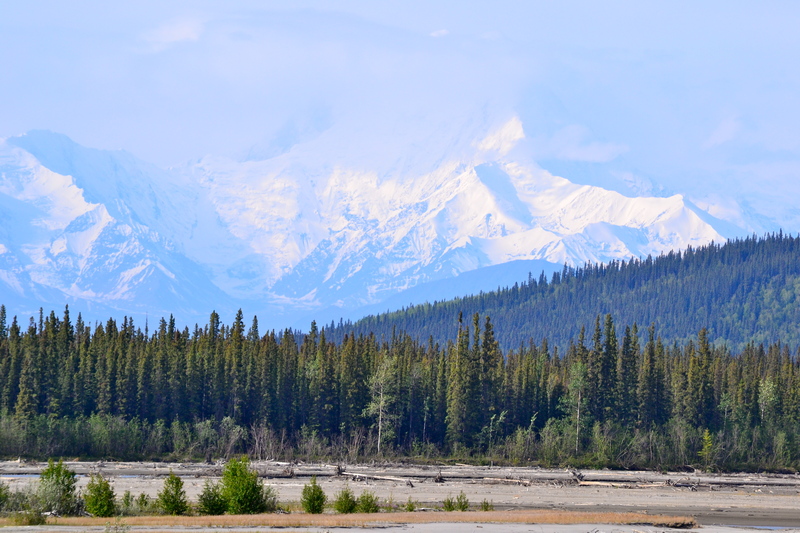 This is the Alaska Range viewed from the north along the road between Delta Junction and Fairbanks. I am so glad you posted this! Fantastic pictures and thanks for the advice! This is on my bucket list. I want to drive from Nunavut to Alaska.